Deep in the forests of Sweden. 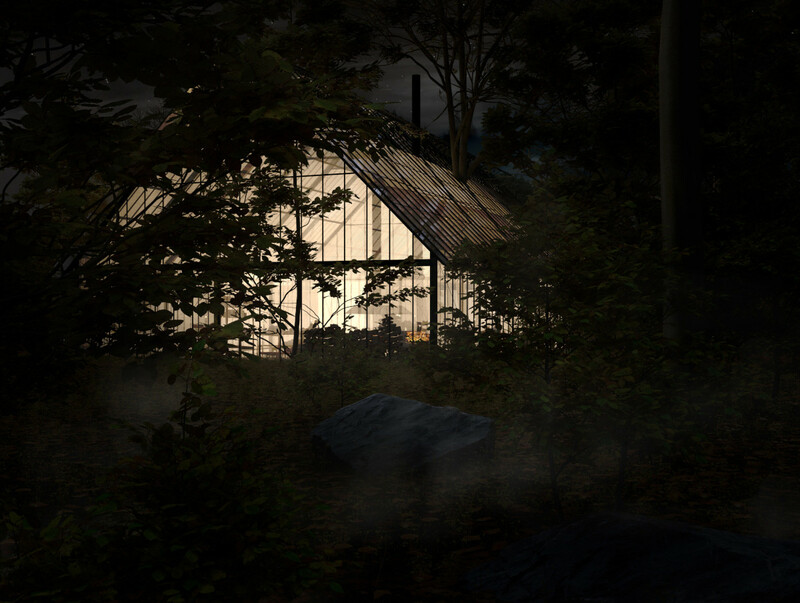 A restaurant immersed in the woods. 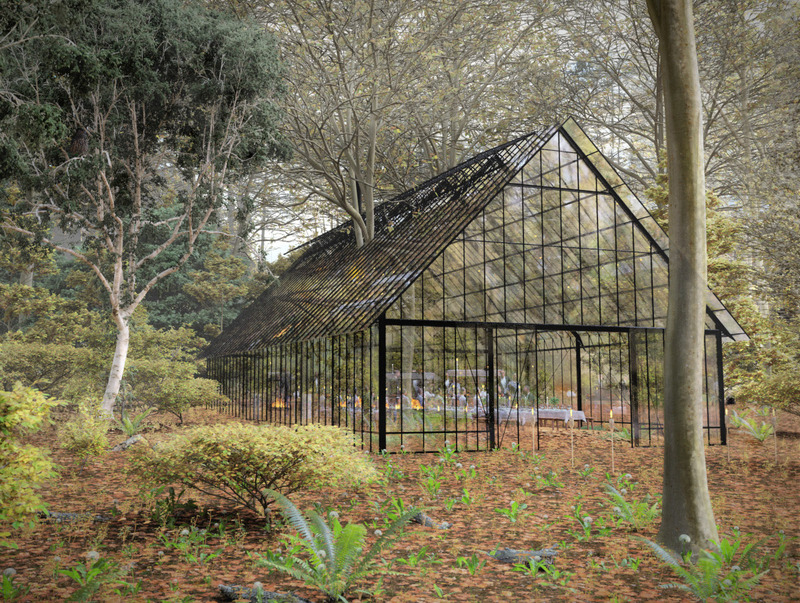 The thin steel structure blends in with the surrounding nature. Passing from the outside to the inside via the wide glass gates on the forest floor, the forest continues inside. The trees grow through the roof... You are sitting in the forest. 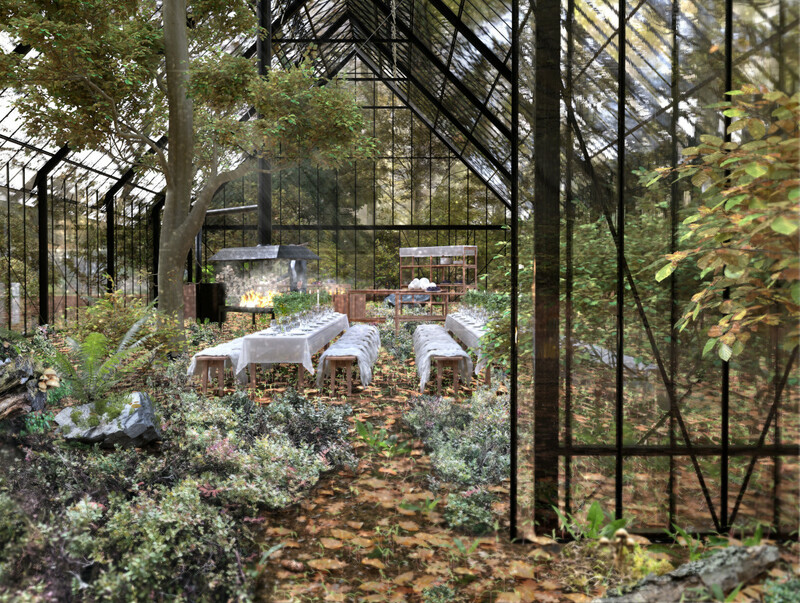 A shelter to enjoy the scenery of the forest and the rituals of eating together, the cooking, the smells the sounds, surrounded by nature in a luxerious setting. Project awaiting spring to startup.